Birmingham Chilli Festival returns for its 7th year to celebrate everything hot, hot, hot in Birmingham will tale place as usual in Brindleyplace Central Square in September. The most exciting hour of the Birmingham Chilli Festival, is the popular chilli eating competition run by Paul Whitehead (Holly And The Ivy) www.hollyandtheivy.co.uk and “Woody” from Fire Foods of Grantham www.firefoods.co.uk plus support as usual from Russel, Abby and others from Sketts www.sketts.co.uk which will take place from 3.00pm – 4.00pm on the Saturday 17th September. For more information on each of the above Chilies please CLICK HERE and download the PDF file which will give a detail review of each Chilli (except for the Trojan Horse). 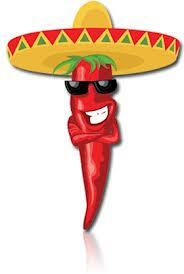 The markets are open from 11.00am – 7.00pm on both days – so will you dare to take the Chilli Challenge? Please keep checking the schedule nearer the event date for the latest updates.